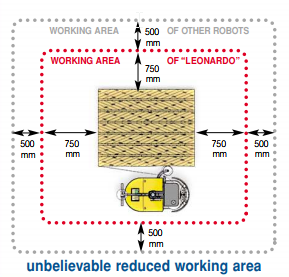 Leonardo is a pallet-wrapping robot able to successfully meet any requirements in wrapping of palletized and not-palletized loads. 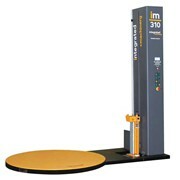 This self-moving robot wraps loads of different weights and sizes anywhere in your premises. 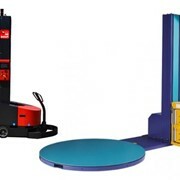 Leonardo features compact overall dimensions and reduced weight in order to be handled easily (this is far simpler thanks to a practical driving system with the helm equipped with push-button controls) and it can work within only 75 cm around the pallet to be wrapped thanks to an ELECTRIC MANOEUVRING SYSTEM and a complex ROTATION SYSTEM working around the pallet thanks to a TOUCHING WHEELER, therefore it can work in a small working area that is smaller than the other pallet-wrapping robots. 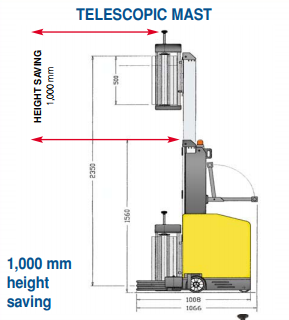 The machine is equipped with a TELESCOPIC MAST, that reaches up to 2350mm in height, and with a 100% POWER PRESTRETCH SYSTEM fitted as standard (1 m = 2 m), this ensures high-quality pallet-wrapping and great economies of scale. 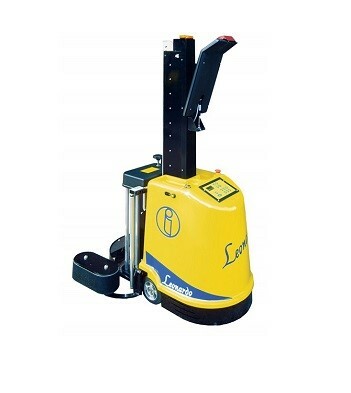 This robotic pallet-wrapper is driven by twin independent electric motors powered by self-propelled batteries which are maintenance free that is they need no fill and can be recharged through an onboard power supply from a standard 240 V power supply when not in use. 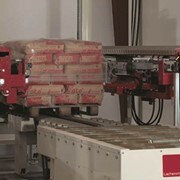 The machine is able to wrap at about 50 - 80 pallets of medium height before recharging; it is evident that the number of wrapped pallets depends on the pallet dimensions. 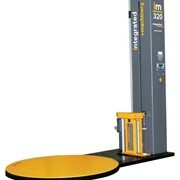 It can be used in warehouses with restricted space where a conventional turntable pallet wrapper permanently sited would command too much floor space. 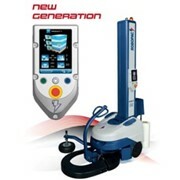 When not required it can simply be maneuvered out of the area and the floor space used for another purpose. 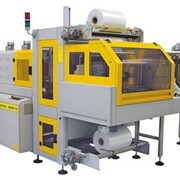 Trio Packaging Systems has been supplying high quality packaging solutions for 35 years. 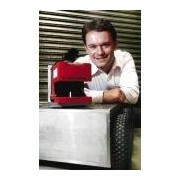 Founded in the mid 70’s and one of the first to offer "Compression Pallet Strappers" to the Australian market. Trio Packaging continues to provide innovative and cost effective ideas and solutions for both Australian and International packaging markets. 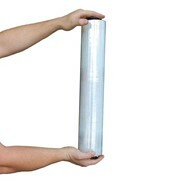 At Trio Packaging Systems we pride ourselves on excellence in customer service and the products we provide. We continually demonstrate this with our commitment to our customers and after sales service. 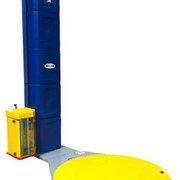 We also carry the most extensive range of Itipack, Transpack and ErgoPack spare parts in Australia and New Zealand. Our staff and technicians are highly experienced and are dedicated to meeting your packaging, technical and fulfillment needs. 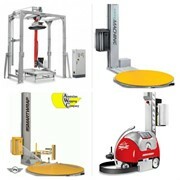 Our aim is to provide our customers with improved productivity, increased reliability and ease of operation with packaging solutions and fulfillment products. The internationally trained technical service team at Trio Packaging Systems offers preventative maintenance, machine audits, spare parts, installations, retro fits and training programs to suit your packaging machinery needs. 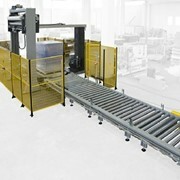 Your business will enjoy sustained productivity with a custom designed maintenance solution from Trio Packaging Systems. 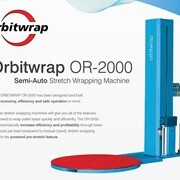 Mention IndustrySearch so Trio Packaging Systems can best assist you! Get a callback from an expert at Trio Packaging Systems to help answer your questions.